Here is one way to create early brand loyalty. Toyota Japan has created a game called Backseat Driver that gets your children involved in where ever you are driving and may be a good option after they've bored themselves of playing Angry Birds for the 1 millionth time in the car. The application is available for download on iTunes. 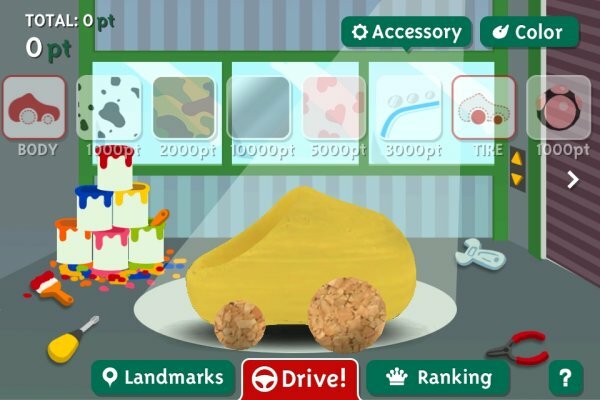 To play the application you have to be moving because the app moves the car using your phone's GPS movements and when the car turns the car in the game turns too. I suppose you could walk your backseat drive, but sitting stationary results in a boring game. Your child can even share their customized car on twitter, something my 5 year old twins will definitely not be doing. It is a fun way to make driving a bit more interesting for your child and I can't wait to test how long it holds a 5 year boy's interest. We'll see. Thanks to @SphereTrending for sharing this on Twitter.